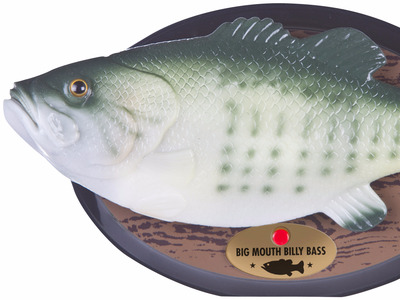 Gemmy IndustriesYou can now own an Alexa-enabled Big Mouth Billy Bass. Internal documents show Facebook considered charging advertisers and developers for access to user data, The Wall Street Journal reports. The documents are from court filings in the US, and are a small window on a cache of papers British politician Damian Collins plans to publish. Elon Musk’s Boring Company axed plans to build a massive tunnel under Los Angeles. The decision came after several local groups sued the city over its plan to exempt the project from environmental regulations and The Boring Company settled with them. Microsoft surpassed Apple as the most valuable US company when markets opened on Wednesday. Apple stock is on course to have its worst month since 2008, dropping 21% and wiping out over $US200 billion in value. Uber’s plan to buy UK delivery giant Deliveroo has stalled, with the two sides said to be “miles apart” on valuation. Uber reportedly offered less than the company’s current $US2 billion valuation, while Deliveroo is pushing for $US4 billion. Amazon Web Services CEO Andy Jassy roasted Larry Ellison by turning the Oracle founder into a cartoon-like face peeking over a wall. “People are sick of it, and now they have choice,” Jassy said of Oracle’s databases. A San Francisco politician is trying to get Mark Zuckerberg’s name removed from the hospital to which he donated $US75 million. Earlier this year, nurses at the Zuckerberg San Francisco General Hospital protested the facility’s attachment to the Facebook CEO. The FTC will investigate whether a multi-billion dollar business model is getting kids hooked on gambling through video games. The Federal Trade Commission will investigate the use of loot box micro-transactions in video games at the request of US Senator Maggie Hassan of New Hampshire. Facebook is expanding its local news feature “Today In” to more than 400 US cities. “Today In” shows users news, posts, and events from their local area, but it also provides a new avenue through which misinformation and fake news could spread. You can now buy a Big Mouth Billy Bass that works with Amazon Alexa. The fish’s lips will even sync up with what Alexa is saying. Amazon is releasing a $US400 self-driving toy car. You can program the DeepRacer to drive itself via a technique called reinforcement learning, which means it learns through trial and error.